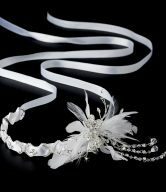 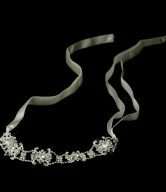 The Austrian Crystal Wedding Headband is a beautiful white headband with gorgeous ornamentation featuring multi-faceted Austrian crystals, sparkling clear crystals and delicate beading. 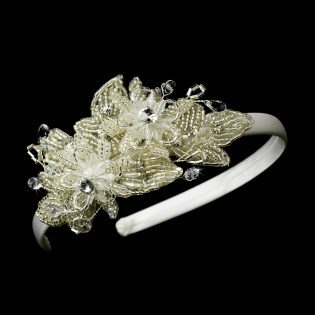 Perfect for any occasion, this must-have headband will accessorize any outfit with style and flair! The Austrian Crystal Wedding Headband is also perfect as a flower girl’s headpiece. 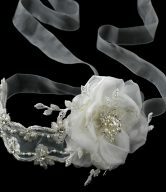 Flower Girl’s Headpieces are elegant additions to incorporate into a child’s hair on a special occasion. 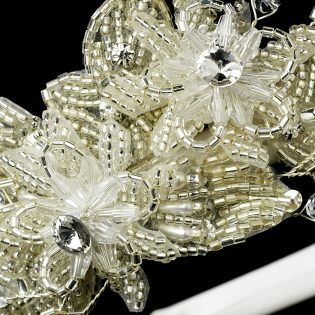 These crystal wedding headbands are perfect to wear to a pageant, first communion ceremony, or by a flower girl walking down the isle. 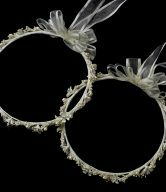 Don’t forget to make that little special one feel like a true princess on that special day, with one of our Flower Girl’s Headpieces.